Bundaberg's Nanning Gardens Are Officially Open! 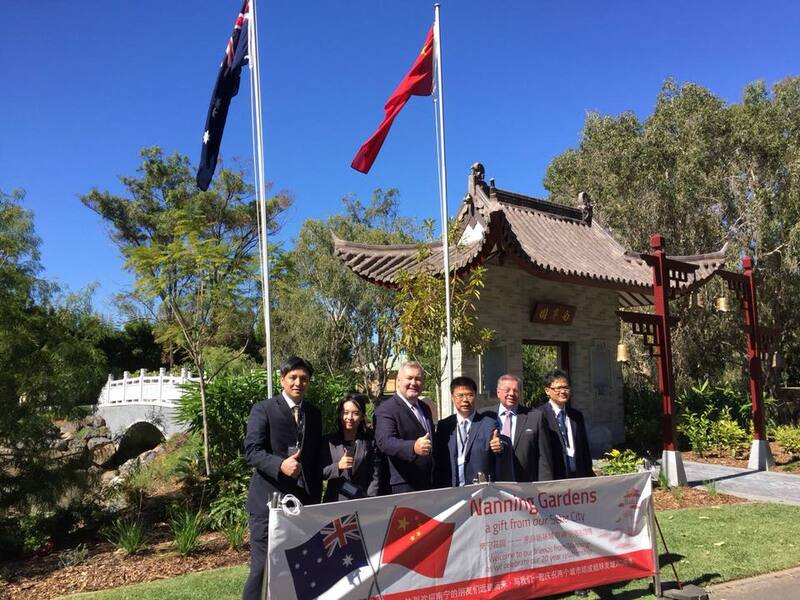 Bundaberg's Nanning Gardens at the Botanic Gardens has been redesigned and opened in an official ceremony, commemorating the 20 year relationship between Nanning and Bundaberg. Bundaberg Mayors, Kay McDuff and Mal Forman were joined by Nanning Government Vice Secretary-General, Meng Wenhu, all who were involved in each phase of the sister city relationship, which as been strong for 20 years. The gardens now feature two dedicated stones, one written in English and the other in Chinese to represent the relationship between the two world cities.